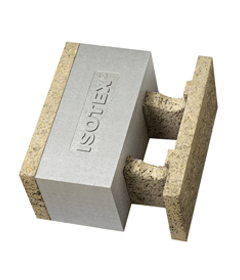 For Isotex, 2017 closes with a successful partnership with BASF for the use of BASF NEOPOR® thermal insulating material in wood cement formwork blocks. BASF NEOPOR® is a high-quality expandable polystyrene which is made with pearls of different grain sizes that contain tiny particles of graphite. In addition to the unmistakable silvery gray color, the graphite guarantees superior thermal capacities (0,030 – 0,035 W / m²K) compared to the classic PSE. The particles in graphite, in fact, absorb and reflect the infrared by neutralizing the effect of heat radiation, which negatively affects the thermal conductivity. 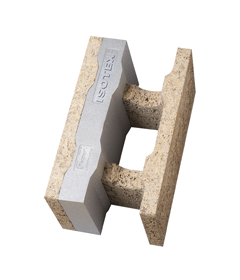 The BASF Neopor® polystyrene, combined with the wood cement formwork ISOTEX®, is able to guarantee the maximum energy savings (class A4), and an excellent living comfort. 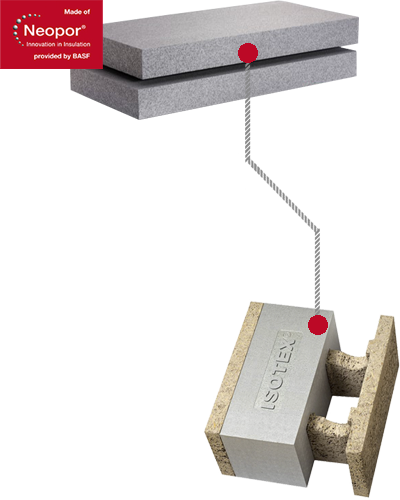 The use of the highest quality BASF-NEOPOR® graphite EPS insulation makes the Isotex wood cement formwork block even more performing. 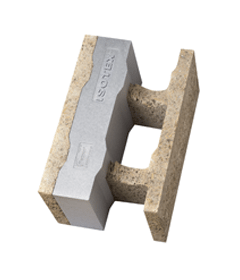 With these improvements, the value of thermal transmittance in the HDIII 44/20 graphite block is reduced by 15% compared to the previous type (HDIII 44/18 graphite) reaching U=0,15 W/m²K, and preserving the same thickness of the finished wall, the same excellent structural characteristics (anti-seismic), thermal inertia, energy saving, sound insulation, di fire resistance and permeability to steam and air. 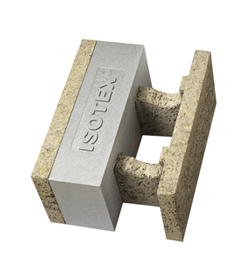 Even this recent Isotex proposal stems from a company approach that aims to propose systems that not only conform to technical and regulatory requirements, but are able to anticipate the demands of a specialized market and demanding professionals.